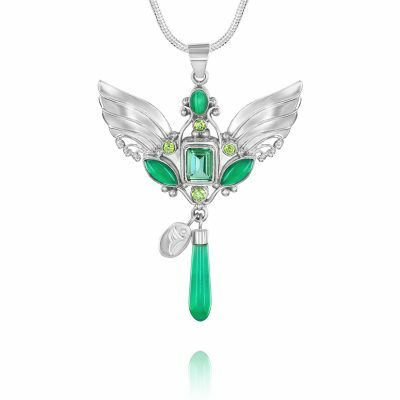 Home / Archangel Pendants / Archangel Jophiel Pendant. Laughter, Joy, Abundance. 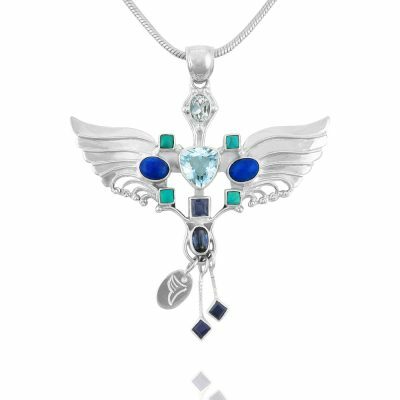 Archangel Jophiel Necklace encapsulates the qualities of this Archangel; to increase our joy, laughter, confidence and self belief. 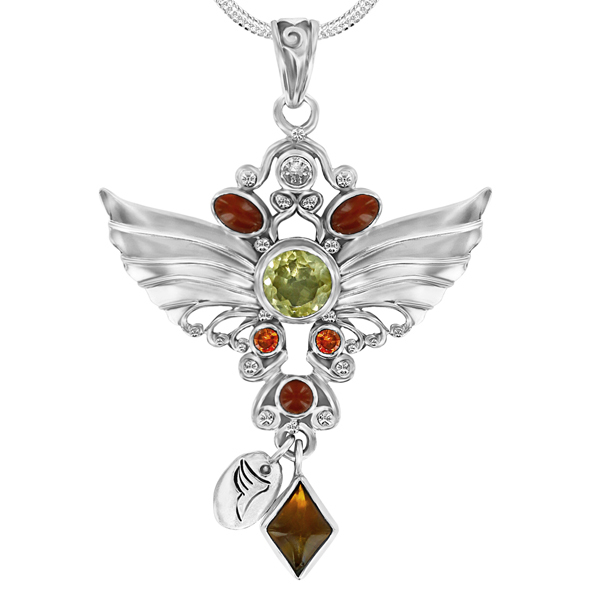 Reinforced and magnified by 8 uplifting gemstones of Citrine, Amber, Carnelian and Crystal Quartz. Pendant size 5cm x 7cm. 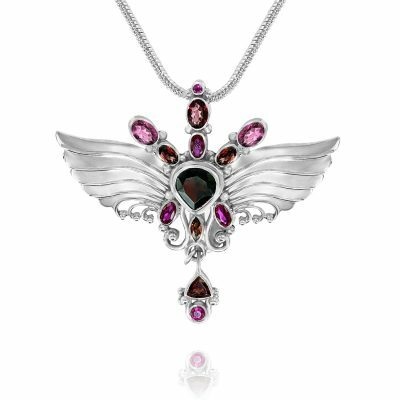 All pendants are presented in our Angel Jewelry box with chain. 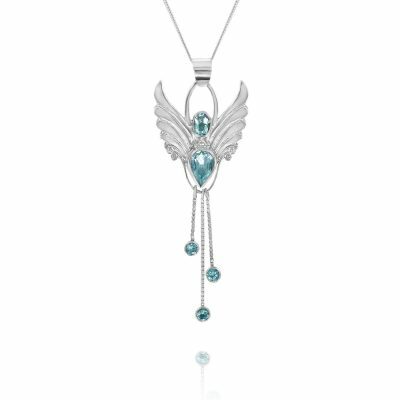 The Archangel Jophiel Pendant holds the gemstones of Joy, Inner Confidence and Self belief and his purpose is to lift our spirits, to help us experience joy, fun, laughter, lightness, confidence and abundance. 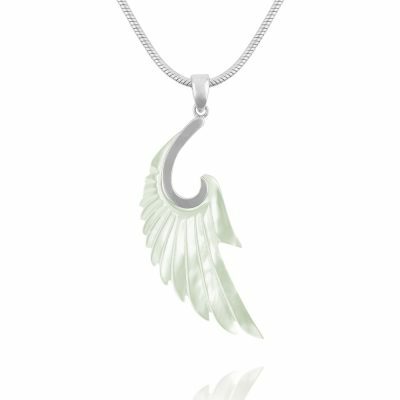 Each Angel and Archangel has a specific purpose and a function in safeguarding and overseeing key elements of our world. In my own experience, whilst working with the Archangels I believe each Archangel and Angel hold together a number of different aspects of creation. One vital and sustaining component of all life and creation is the joy that comes from unwavering confidence, and that confidence comes from within; from the internal belief that we are all deserving, and worthy, and beautiful. 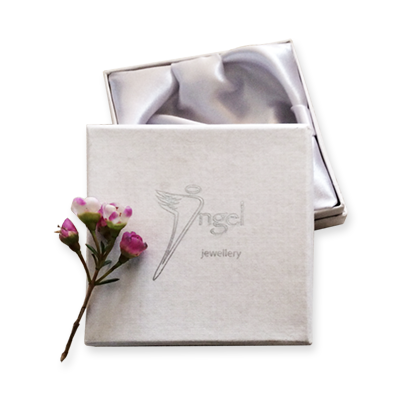 Archangel Jophiel’s task is to help humanity to develop our sense of how beautiful and amazing we truly are, to focus on joyfulness, playfulness, all the things which feed our joy, and to move away from habitual, destructive and negative self beliefs. To validate and acknowledge our unique beauty and purpose, and to recognise that joy and self-belief are actually the Divine force at work within each one of us. This is Archangel Jophiel’s purpose. “The Planets and the Stars must know their own worth to keep on their path”. This is Jophiel’s domain. 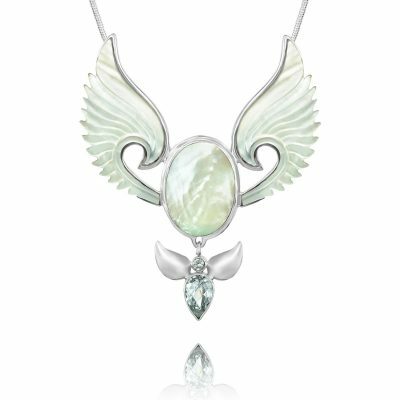 You might like to read a little more about Archangel Jophiel here.